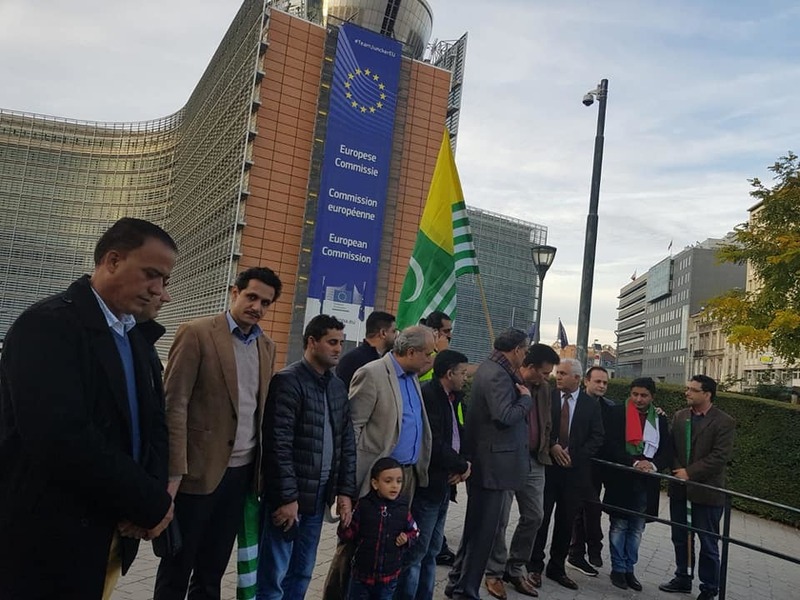 The Jammu Kashmir Liberation Front(JKLF) Belgium & Europe Zone organised a demonstration in front of European Commission at Brussels. JKLF Seeking attention of World Community, on the present and ongoing human rights crisis in Jammu Kashmir. The JKLF strongly condemned violent killings and recent brutal acts of state terrorism against Kashmiris demanding their national freedom and justice in Indian held Kashmir. The group strongly condemned the invasions of Jammu Kashmir on 22th October & 27th October 1947 and the massacre of 6th November 1947 in Jummu. 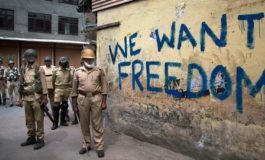 "Over the past seven decades the people of Kashmir from have sacrificed life and property for the independence of Kashmir", the JKLF said in a statement. "The international community should break its silence on this ongoing severe situation, and should recognise the aspirations of the Kashmiri people and help to bring about a resolution of the long standing issue. The international community must take serious notice of the worsening situation of human rights in Kashmir and the inhuman conduct of the Indian authorities against the suppressed people of Jammu Kashmir." 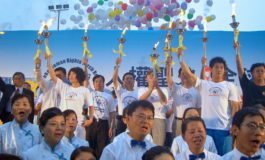 The group also Condemned human rights violations in all parts of Jammu Kashmir, Gilgit Balistan and PAK. 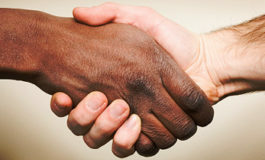 They condemned the plundering the natural resources of AJK,and Gilgit Baltistan by Pakistan. 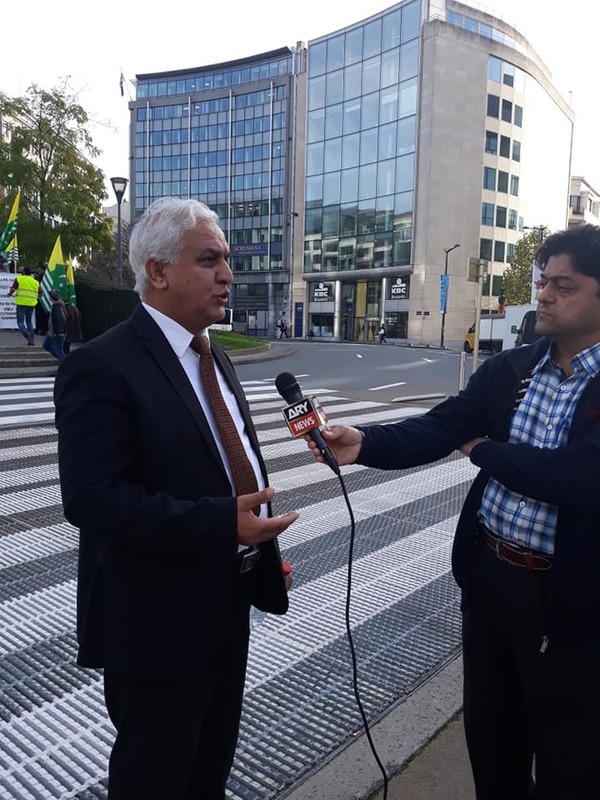 The protest was led by Sardar Naseem Iqbal, Advocate Member Diplomatic Council, Masood Iqbal Mir, General Secretary Europe, Shabir Ahmad Mirza,Senior voice President EU Zone, Sardar Zahid Khan, Member supreme Council, Zaheer Zahid, General Secretary Belgium Branch, Dr Ishtaq Iltaf Khan,Nadeem Khan Jaral,Naqash Mushtaq & others.